Message from Mike – New Year 2017! Exciting things are happening at Milwaukee Electronics. Last month we announced a merger with San Diego PCB and we’ve also analyzed the results of our annual customer satisfaction survey. The San Diego PCB merger is significant because it rounds out our complement of engineering and manufacturing service offerings. Mike Creeden, San Diego PCB’s owner and now our VP of Layout Services will discuss the capability additions in detail in our Engineering in Action article. From my perspective, I see this as very beneficial to both our companies. We chose to call it a San Diego PCB Merger Announced merger because we recognize that the bulk of the value in San Diego PCB is its expert, certified team. They employ some of the best designers in the world and match them with the best CAD tools. We see this team as a strong complement to our engineering resources and wanted to acknowledge the bench strength they represent appropriately. Another key element that makes this merger extremely beneficial to all parties is our cultural alignment. Mike’s focus is delivering a Rev 1 that has been executed well enough to eliminate the need for further spins. Our focus is delivering perfect product. Together we will both continue that “be the best of the best” culture. We also both believe in listening to the customer. Even when the customer is saying that he or she only wants a specific service rather than all the services we sell. We built Screaming Circuits around the value proposition that you can buy as little or as much as you wanted from us. We will continue that mindset. We offer a full a lifecycle solution that includes layout services. We also sell just layout services. Listening to the customer is also what drives our annual customer satisfaction survey. This year we saw customer participation rates drop slightly. However, we saw generally improved performance ratings across all locations. There are still specific issues we will be addressing. Cost and changing technology are the most significant concerns among our customers. We plan investments over the coming year that will continue to drive improvements in our responsiveness, ability to support advanced technology and efficiency. One particularly interesting data point in our Screaming Circuits survey was that over 44 percent of our customers in that business unit are now Millennials. We are continuing to evaluate our customer experience and ordering tools with that metric in mind. I’d like to wish you and yours a very Merry Christmas and a Happy and Healthy New Year. Thank you for your support and business. View our LinkedIn page for additional updates. Happy Holidays from all of us at Milwaukee Electronics – from our Design Engineering teams and all our Electronic Assembly and EMS Groups in North America! In our latest newsletter, we cover several topics and some exciting events that have happened at Milwaukee Electronics recently! Badgerloop – Our Sponsorship supports the SpaceX project! Click Here to read the Milwaukee Electronics Newsletter Q4 2016! 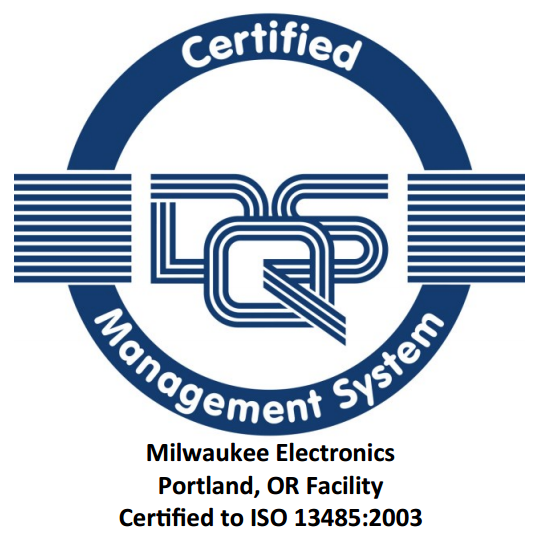 On Sept. 5th, Milwaukee Electronics’ Portland facility passed its certification audit to ISO 13485:2003, the quality management system focused on medical device manufacturing. “We pursued this certification to better support the needs of our medical customers. Our team did an outstanding job of updating our procedures to support our certification effort,” said Pam Kimbrough, the facility’s Operations Manager. 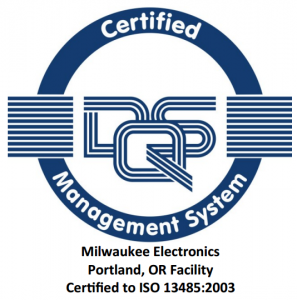 Milwaukee Electronics will pursue ISO 13485:2003 in other facilities as customer requirements drive the need. Milwaukee, WI – David Cascio has joined Milwaukee Electronics as chief financial officer. 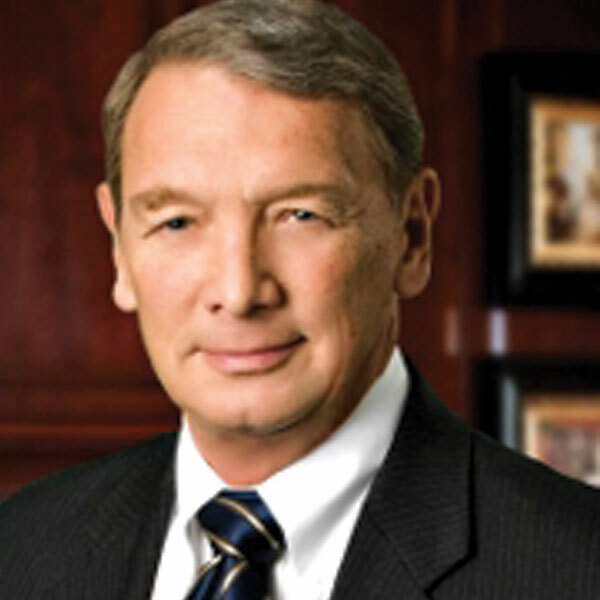 He previously served as senior financial director for Global Workplace Solutions (GWS) Americas with Johnson Controls, Inc. He was earlier associated with Modine Manufacturing Company, Bosch Rexroth Corporation and Woodward in a variety of finance and accounting management roles. 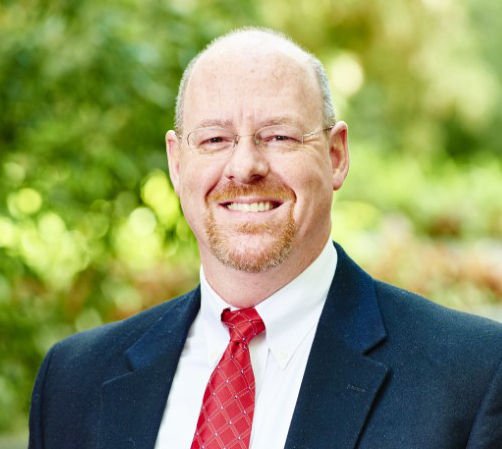 “Dave brings over 26 years of experience in organizational improvement initiative implementation, strategic planning, cost analysis, ERP systems optimization and contract negotiation experience. The bulk of his career has been spent overseeing these activities in multinational operations which aligns well with the direction our business has taken over the last few years. I see him as a key asset in our team as we continue to evolve and expand our operations,” said P. Michael Stoehr, Milwaukee Electronics’ president and CEO. “I’m excited about joining a dynamic company in a demanding industry. I look forward to applying my experience with best-in-class processes to help Milwaukee Electronics continue to grow and improve,” added Cascio. Cascio received his Master of Business Administration degree from Northern Illinois University and his Bachelor of Science degree in accounting from Rockford University. Milwaukee Electronics’ Portland, OR facility recently hosted an arms-on problem-fixing event that took a multi-company approach to non-stop development. The workshop was facilitated by Mike Hoseus, the executive Director of the Center for Quality People & Organizations (CQPO). CQPO is an organization developed in 1999 as a vision of Toyota Motor manufacturing to proportion Lean exceptional philosophy and human resource practices with training, business, and community groups. 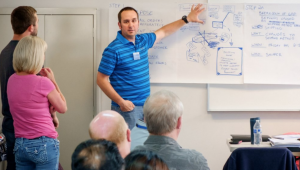 Mike is a Toyota licensed teacher in worldwide hassle solving and Waste discount, Standardized Work and Kaizen events. He’s the co-creator of Toyota Culture with Jeff Liker (author of The Toyota Way, The Toyota Way Fieldbook, and Toyota Talent). The event combined training with hands-on problem solving. The event included participants from seven other non-competing manufacturing companies: Benchmade Knife Company, Columbia Machine, ESCO Corporation, Keith Manufacturing, Leupold & Stevens, Myers Container and Woodfold. Milwaukee Electronics identified six areas they would like to improve and six teams were created from the participants. The approach put “fresh minds” on each problem and added the perspective of people familiar with manufacturing practices in non-related industries. “We really got more out of this than we thought we would. HEPC was very pleased with our ability to answer questions and provide data. 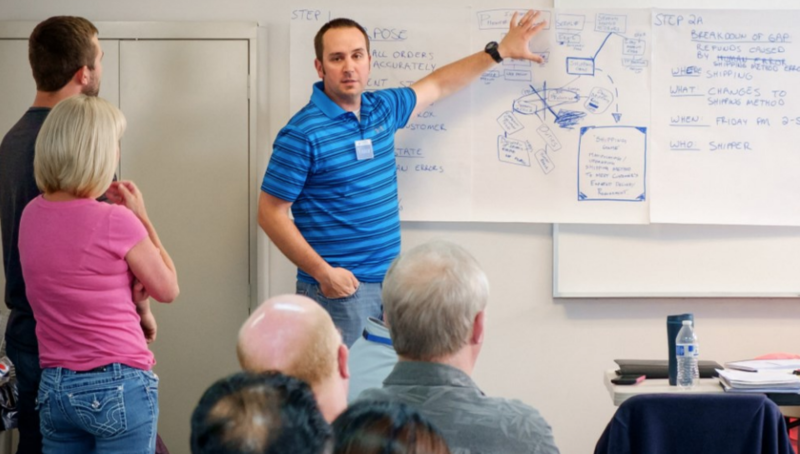 I was particularly impressed during the workshop at what the team members from other companies who had no familiarity with our processes were able to discover,” said Ashley Rochholz, Screaming Circuits Manufacturing Manager. Step 8: Standardized successful practices and share. During the two-day workshop, each multi -company team utilized the tools and training provided to work through their assigned improvement area. At the end of the event, Milwaukee Electronics’ team leaders because responsible for implementing the solutions and reporting results. Inventory transaction errors between raw material and work-in-progress (WIP) and job to finished goods (FG). This problem solving effort was a good example of a team finding out that an assumed root cause was not the actual root cause. After research into the data, the team found that the transaction error issue was better handled as part of the EMS SMT team’s problem-solving focus. They provided the data they reviewed early in the process to the SMT team and then focused on improving cycle counting. That effort identified that a scale in the stockroom could be impacted by temperature and vibration. Previously, it had been assumed that unit was not susceptible to environmental changes and it was not on the calibration list. It was leveled on a stable shelf mount and added to the calibration list. A reel counter was determined to be inaccurate and new unit is on order. Late internal EMS deliveries to subsequent processes from SMT. The team found there were two root causes for inefficient throughput: the planning schedule and insufficient parts. The planning schedule was outside of their control, so they focused on the part shortages. Machine-driven attrition was the main driver. The solution focused on reviewing scrap factors on projects where the situation had occurred more than once to determine if they were incorrectly calculating scrap factors. They also reviewed the data provided by the inventory transaction team and found that material used in rework operations wasn’t being counted. The results after the first month of corrective action were that the SMT area has eliminated the backlog of late jobs. Most of the jobs during the month were classified as late in on-time delivery (OTD) metrics tracking because of the backlog. Now that it has been eliminated, that metric should improve. The team’s original plan was to use the daily machine reports to identify scrap rates higher than issued in Epicor and reduce the number of WIP shortages on the line. Purchasing Manager Loan Thai offered an easier solution, suggesting that with IT’s help, the reports could be used to automatically adjust higher scrap parts out of Epicor so that inventory counts would be correct. The project is currently at this stage and is being led by the Purchasing Manager. The original OTD metric was averaging 38 percent and is now up to 50 percent. Eliminating downtime on Screaming Circuits’ SMT lines. The team looked at data logs from the line and found that most of the downtime was related to the setup process for Mydata equipment, more specifically a process known as bill of material (BOM) site, which checks the programming for accuracy. The team is exploring if operators could perform BOM site for the next job while waiting for the printed circuit board assemblies (PCBAs) to finish the assembly process or do the activity offline on another placement machine. The team also questioned whether or not the process was actually necessary and has been performing design of experiments (DOEs) to find out what works best on second shift. KISS selective solder machine down- (Continued from page 3) time. The KISS unit was already scheduled for refurbishment, so the team did not look at mechanical issue-driven downtime. Instead they focused on bottlenecks in PCBAs waiting for QC inspection. They decided to add a visual color-coded status indicator as a signal to QC inspectors. Red indicated that they were line down and needed immediate support, yellow indicated that a QC inspector was needed in the next 10 -15 minutes and green indicated that QC inspection was keeping pace with demand. They also moved the QC station closer to the machine so that the operation and QC inspector could communicate without leaving their work areas. The visual indicator was also in view of Screaming Circuits’ Supervisor. Finally, a scheduling board was added to help the operator better understand job priority. HPEC is a program that grew out of the Association for Manufacturing Excellence (AME). They facilitated the event that Milwaukee Electronics hosted. “EMS companies must constantly improve. The benefit of this type of collaborative effort was that in addition to learning a strong problem-solving method, our personnel also applied that method to solving small issues that impacted quality, efficiency, and cost. This ‘hands on’ training methodology helps instill a focus on applying these skills anywhere unexpected outcomes arise,” added Ashley.